“This is the first time we’ve aggregated opinion leaders about where we’re headed as a region and the trajectory is eye opening,” said John Spear, Associate Publisher with Seattle Magazine and moderator of the panel discussion. Seattle Magazine is celebrating its 50th anniversary in publishing as a trusted chronicle of trends in the city and Spear announced that SeattleMag.com will now syndicate content by the FutureCast Forum with a viewpoint ahead. Above: Guests of the FutureCast Forum gather for the BISNOW after party at MG2 in downtown Seattle. Forum panelists included Dylan Simon, Colliers Seattle; Trevor Bennett, Caliber Home Loans; Maria Royer, REAL Retail; Jennifer McCullum, GRAY Magazine; Brian O’Connor, O’Connor Consulting Group; Brian Evans, Madrona Financial Services; and Dean Jones, Realogics Sotheby’s International Realty. O’Connor kicked off the conversation with a macroeconomic overview of the region’s robust job and population growth. He offered perspectives about historical and projected housing cycles with a focus on the balancing of new owner vs. rental demand. 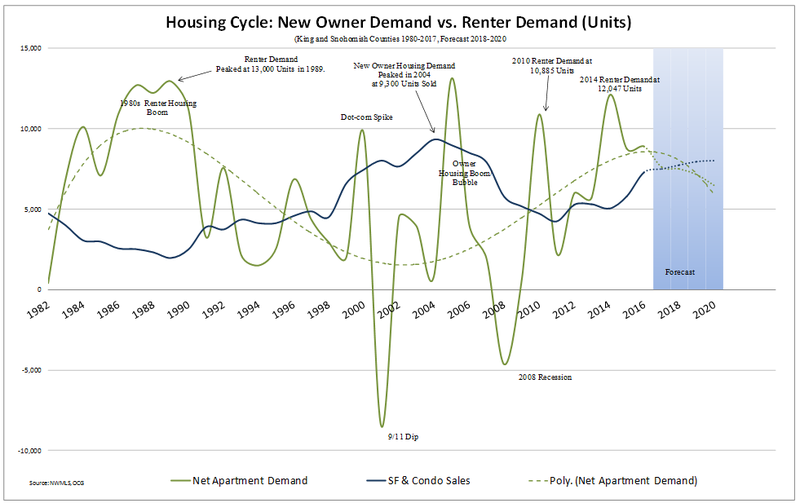 During past economic cycles, O’Connor found that demand trends for ownership and rentals were typically offset by one another, but in more recent years both have been growing. Graphs by O’Connor Consulting Group indicate the boom of apartment housing in downtown Seattle, while projections for the millennial demographic, the largest population cohort in the region, will put significant pressure on the housing stock, especially in light of limited home ownership options. To be sure, boundless job growth within the local tech industry, most notably by Amazon, has eclipsed even the Bay Area, creating unprecedented demand for rental properties. O’Connor is concerned that the region is not generating enough housing, especially in single-family neighborhoods. 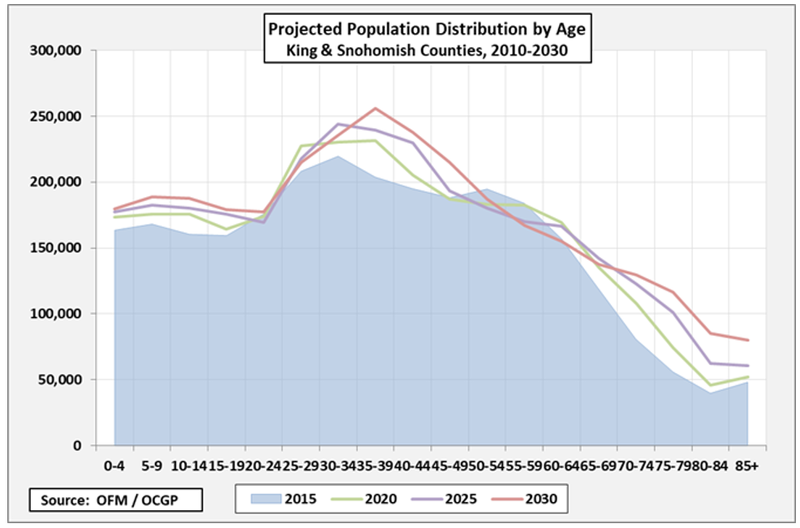 Permit activity in King and Snohomish Counties for new houses has plummeted in the current economic cycle notwithstanding steady declines in mortgage interest rates. Conversely, multi-family permit activity is setting new benchmark records in the region in what experts are referring to as the urbanization of the Pacific Northwest. Graphs by O’Connor Consulting Group suggest a flatline of new single-family permit activities while permits for multi-family units have skyrocketed. Dylan Simon, who specializes in apartment investments, described an environment in downtown Seattle where rising rents (climbing 50-percent in the current decade) and extraordinary levels of global capital have created a modern-day gold rush of investment interest in apartment buildings. According to Simon, average rents in Seattle are about $2,000 compared to San Francisco where they are twice the cost. He said average salaries are about the same (less than a 5-percent difference) after factoring in taxation and cost of living. Buying a house and renting a Class A office in Seattle is also about half the price compared to the Bay Area. Therefore, doing business and residing in Seattle makes a great deal of sense; hence, employers are moving here and attracting thousands of employees. Many will choose to rent, for a while, but Simon believes millennials will couple up, choose to have children and seek out ownership opportunities. All of those new apartment buildings are incubating future homebuyers. Dylan Simon with Colliers confirmed that Seattle-area apartments are in vogue for domestic and international investors so developers have preferred to build rental housing instead of condominiums. The panelists addressed other common concerns, such as transportation and housing affordability. Dean Jones, who lived in both Vancouver BC and San Francisco shared that Seattle has similar geographic constraints and is following in the footsteps of its West Coast peer group. Jones observed that the high-density region of Seattle and Bellevue that’s bound between SR-520 and I-90 is effectively 2 miles by 10 miles, about the size of Manhattan. He referred to Lake Washington as the region’s Central Park and suggested immigration and development trends that played out a few hundred years on the East Coast may be playing out now in the Seattle/Bellevue area. Jones said many of the new projects being proposed in downtown Seattle are in fact international developers, including those from Canada and Asian countries such as China, Hong Kong and Taiwan, among others. Nowhere is this level of investment and change more pronounced than within the burgeoning East Village neighborhood west of I-5 and along both sides of Denny Way. 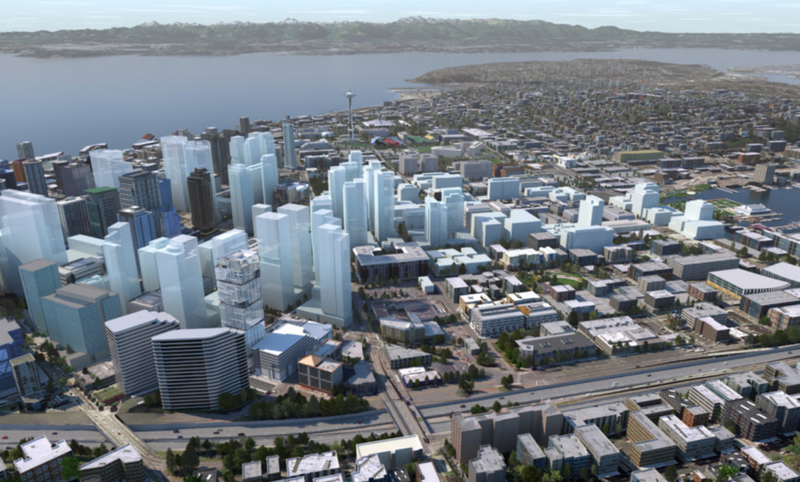 The expanding East Village of downtown Seattle where dozens of high-rise projects are in planning and development including NEXUS (front and center) – currently the only new condominium offering amidst a sea of apartments. Jones agreed with O’Connor and Simon that there’s an undersupply of for-sale housing in downtown Seattle, especially at more affordable price points below $700,000. He concluded that for the current decade, only 6.5-percent of the 25,115 new units being delivered in downtown Seattle will be available for sale and two-thirds of what’s under construction today as condominiums by 2020 is already presold. Other statistics were shocking. Downtown housing prices are climbing with resale properties spiking 37.7-percent during summer 2017 over the prior year, while resale volumes fell 9-percent on dwindling inventory. Just 43 resale units were listed for sale with a median asking price of $1,150,000 and more homes were pending than new listings being added, according to NWMLS statistics. 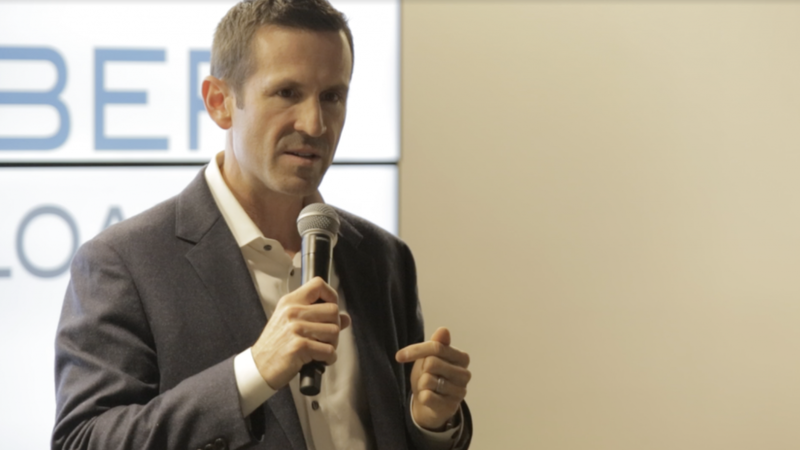 Trevor Bennett with Caliber Home Loans announced a series of evolutions in mortgage lending targeting local demand, including underwriting with restricted stock units and providing a digital loan process. The search for affordability introduced several alternative markets to downtown Seattle and Capitol Hill. The panelists discussed the future of “boom-bergs” or emerging urban centers such as Columbia City, Ballard and Redmond, that are becoming independent real estate microclimates attracting new residents and businesses alike. Maria Royer confirmed these new retail nodes are challenging traditional shopping districts. 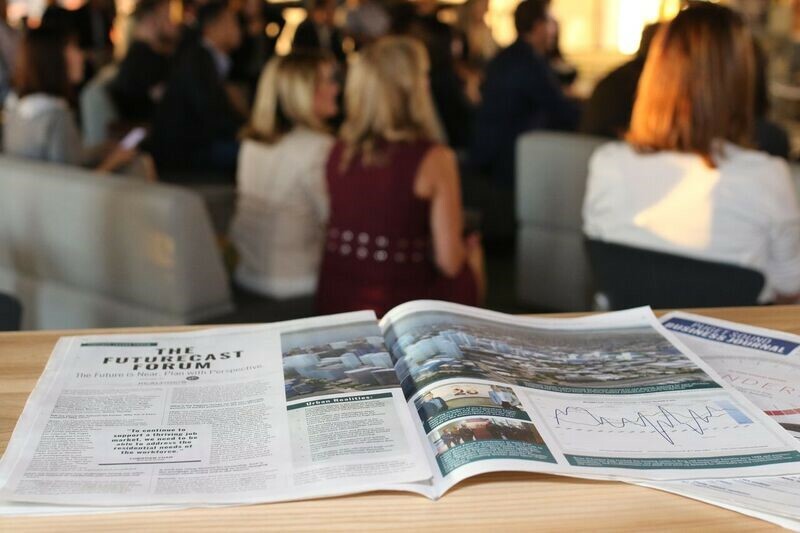 First-to-market businesses are choosing these alternative opportunities like the Kirkland Urban project – a 1.2 million square foot mixed-use development that her firm is representing. She says growth is happening where there’s a walkability score. Maria Royer of REAL Retail has been exploring how retail can fill in the “missing teeth” of blocks in downtown Seattle and other retail pockets in the metro area. Another demographic topic discussed at length during the FutureCast Forum was the would-be retiree segment of the population. As a CPA and wealth manager, Brian Evans understands many baby boomers would like to simplify their lifestyle, downsize their home and travel the world. The problem, however, is they are saddled by active management of income properties and struggle to find the appropriate townhouse or condominium amidst the tight supply – so they stay put and defer their true retirement. Brian Evans of Madrona Financial Services introduced creative retirement and tax planning strategies to help investors unlock their equity and explore lifestyle pursuits. One solution to free up landlord responsibilities without incurring taxation is through the use of a Delaware Statutory Trust (DST). Evans explained that appreciated rental real estate can potentially be exchanged into passive investments that provide annuity-like returns. In terms of design trends, Jennifer McCullum drew upon recent features in GRAY Magazine to suggest where architecture and interior design is headed. Her top predictions ahead included greater efficiencies in planning, a sharing of community spaces, further advancement in green development practices and programming a healthy home. 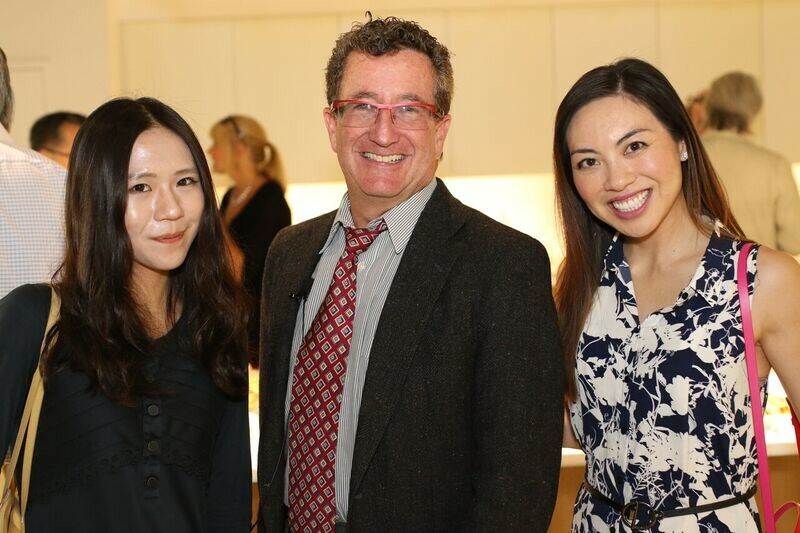 John Spear of Seattle Magazine welcomed guests to MG2 Architects and moderated the panel discussion. The most recent discussion was just the beginning of the conversation by FutureCast Forum members – more than a dozen contributors will provide observations on various market topics online at www.Seattlein2020.com. Register now to be updated.